Understanding a diabetes diagnosis can be a little confusing because there are two different types of it. The first type is called “type one.” It is the most serious type of diabetes because it isn’t preventable. Type one diabetes is caused by problems with the immune system. Anyone can be diagnosed with it, including babies and small children. Most cases of type one diabetes in children are diagnosed in the emergency room when a child is brought in with dangerously elevated blood glucose levels. The same can happen to an adult though. The other type of diabetes is called “type two.” It is caused by two different health issues. Either the body is not producing enough insulin because the pancreas has been stressed from overuse, or the body’s cells have become resistant to the insulin that the pancreas does produce. A person normally cannot have both types of diabetes at once. And if they have type two, they don’t switch to having type one. Both types of diabetes can cause significant health problems in a person. It can lead to damaged kidneys, blindness, and cardiovascular disease. Neuropathy in the hands and feet is also common, but it isn’t limited to these areas. Diabetes attacks the nerves of the entire body, including the bladder and bowels. It increases a person’s risk for infection and disease because it lowers their immune system too. 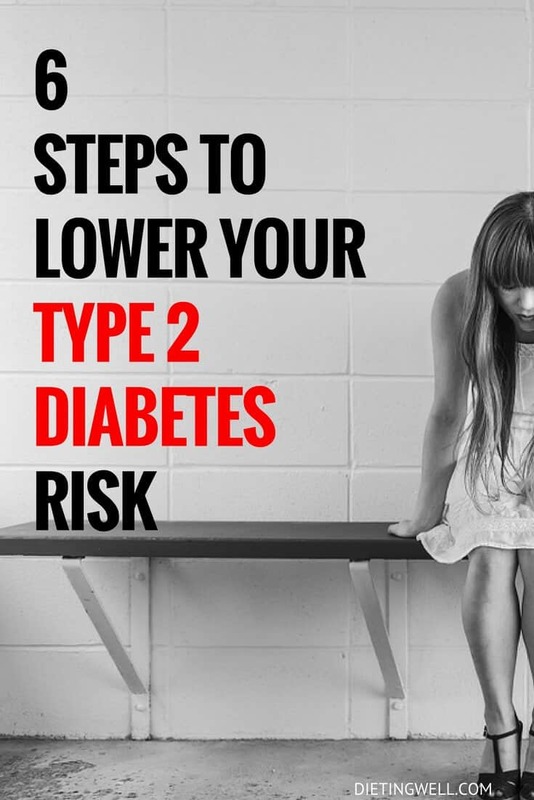 Although there is nothing that a person with type one diabetes can do to ensure that they don’t get this condition, those who are at risk for getting type two can prevent it by taking the following six steps towards improving their health. Studies have shown that losing even a small amount of weight can reduce the risk of getting type two diabetes. But it is important to mention that being overweight by even as much as five pounds can increase someone’s risk for the condition. Excess fat stresses the cell’s of the body, which causes them to become insulin resistant. That is because most people who are overweight eat excessively. When a person puts too much food into their body at one time, it is more nutrition than the body needs. This causes the cells to shut down their absorption of glucose by reducing the cell’s sensitivity to insulin. All of the excess glucose that is made from the food ends up staying in the body though. So one of the best ways to prevent type two diabetes is by maintaining a healthy weight that is within the doctor recommended guidelines for a person’s age, height, and body frame. Although type two diabetes is more common in people who are over 40-years-old, it can occur in young children and teens as well, especially if they are obese. Obesity is defined as a person weighing at least 100 pounds more than they should. This differs from being overweight, which means someone is only 10 or 15 pounds over their healthy weight. Those who have parents or close relatives with diabetes have a significantly higher risk of getting it too. So diabetic parents should be sure to closely monitor their children’s weight to make sure that it stays healthy. However, if a child is having symptoms of type two diabetes despite having a healthy weight, they should still be checked by a doctor though. Although it is rare, some children who are thin can still get this disease. The body turns most of the food that a person eats into glucose to feed the cells because they need glucose for energy. But when a person is struggling with insulin resistance or not producing enough insulin, the cells can’t absorb glucose like they need to because insulin is responsible for opening up cells to let the glucose inside. So the cells starve. That means, the glucose from the food that someone eats stays unabsorbed in the body, and it contributes to high blood glucose levels that cause type two diabetes. As a defense mechanism, the body will first begin to burn fat to get energy to feed the cells. That is why many people notice that they have lost a lot of weight without trying when their blood glucose levels are too high. But when there isn’t enough fat to burn, the body will next turn to breaking down muscle tissue for energy. So it is common for those who are in the early stages of diabetes to also have a decrease in strength and muscle size. To keep the amount of excess glucose down, it helps to eat a diet low in simple carbohydrates. That means, foods that are made with white, refined flour or sugar should be eliminated from the diet. And foods that are made of whole grains should replace them. Whole grains help keep blood sugar levels stable because they cause the body to break down foods at a slower rate. So instead of a rush of glucose hitting the blood stream, it is released more gradually. Flour and baked goods are not essential to a person’s diet. In fact, they actually contribute very little necessary nutrition. Some better sources of whole grains are flax seeds, chia seeds, barley, and oatmeal. Fiber can also be found in fruits and vegetables. Both physical and emotional stress increase the amount of cortisol and other stress hormones that are released because the body increases sugar as part of a fight-or-flight response to protect someone from potential threats. These stress hormones increase blood sugar levels in people susceptible to type two diabetes. In a situation of real danger, a person would need extra energy to be able to either protect themselves from an attacker or flee to a safer place. But if someone is only stressed from an everyday occurrence, they don’t need this extra glucose, so it stays in the body. When someone experiences stress all the time, they can have much higher blood glucose levels than they normally would. People who have too much stress are also not able to focus on their health as much either. So they may eat or drink foods that can affect the amount of glucose in their body. This is especially common in people who tend to overeat when they feel depressed or anxious. Because of this, it is important to decrease levels of stress as much as possible. Stress levels can be lowered by practicing meditation. Meditation works by refocusing the mind on positive thoughts each time that a person begins to ruminate over worries or past traumas. It works best if it is practiced on a daily basis. Some people meditate twice a day to keep themselves relaxed though. Deep breathing exercises also work, and so does staying physically active. Exercising for as little as ten minutes reduces blood sugar levels because it forces the body to use up some of the extra glucose in the bloodstream for energy. However, it can be lowered more significantly by exercising for at least 30 minutes or more for five days per week. This amount of time can be increased slowly if a person is struggling with health problems or weight issues that make exercising difficult. The best exercises to do for controlling blood sugar are aerobic. They work the heart and lungs, which promotes cardiovascular health. Some examples of aerobic exercises are biking, swimming, jogging, and walking. Walking is the easiest aerobic exercise to do because it doesn’t require any special equipment. And a person can walk any time that they want to without being limited to the hours that a gym is open. However, it is important to mention that anyone who is struggling to maintain stable blood glucose levels should check their levels before and after they exercise to see how it affects them. It helps to keep a record of the levels and when they were taken in a diary. If there is too much of a drop in the levels during or after exercise, it could cause a person to faint or get weak and shaky, especially if they haven’t eaten in a few hours. So it may help to exercise right after a meal when the glucose in the blood would naturally be higher. Since type two diabetes is caused by high blood glucose levels, lowering the levels to within a healthy range will reduce the risk of a person getting this condition. This has to be done by monitoring the levels before and after meals and before and after exercise or any other stressful event. If the blood glucose gets too high, measures have to be taken to get it back down again. It is best to prevent it from spiking at all though. So if someone notices that there are certain foods or situations that trigger their high blood glucose levels, they should avoid them. Part of lowering blood glucose levels involves eating in a very specific way though. Meals have to be balanced with protein because it helps prevent it from spiking. However, the protein has to come from lean meat, low-fat dairy products, or vegetables and nuts. Red meat should be avoided because it increases the risk for type two diabetes and cardiovascular disease. Every portion of fruit (or any other food that could potentially raise blood glucose levels) should be matched with an equal portion of protein. For example, if a person wants to eat fresh fruit for breakfast, they might pair it with a cup of low-fat cottage cheese or yogurt. It is also important to remember that many foods might seem healthy, but they have hidden sugars in them. This is especially common in snack foods that are labeled “low-fat.” To make up for the reduced flavor from having less fat in the products, companies often add extra sugar. So even one granola bar or a handful of yogurt covered raisins will spike blood glucose levels. However, that doesn’t mean that snacks have to be avoided when a person is trying to prevent type two diabetes. 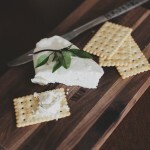 Snacks help to keep the blood sugar levels from spiking, but they should be combinations that are paired with protein just like all of the meals that a person eats. Nuts, fresh vegetables dipped in plain yogurt, and chia seeds are better. Most dried fruits should be avoided for snacks because they have concentrated levels of fructose in them. Some doctors recommend raisins though because they are loaded with nutrition that may help prevent diabetes. It may seem surprising, but drinking plenty of water a day helps to lower blood glucose levels. That is because the kidneys naturally work harder to eliminate extra glucose in the body by flushing it out along with other waste. So if a person drinks extra water, they can make flushing out the extra glucose easier. This elimination process is why those who have diabetes always feel thirsty. High blood glucose levels often increase a person’s appetite. But what the body really wants instead of food is more water. That is why many doctors recommend that people who have this condition try drinking a large glass of water when they start having cravings, especially if they have already had a meal. If the cravings disappear about 20 minutes after they drink the water, then more food isn’t needed. Water only decreases blood glucose levels temporarily though. It isn’t a long-term fix. However, when it is used along with the other steps, it can help prevent type two diabetes. Other drinks don’t hydrate the body as well as plain water does, so they shouldn’t be used as a replacement, especially regular or diet soda. Regular soda contains almost a cup of sugar per can of it. And although diet soda has no sugar in it, it has a sugar substitute that still affects blood glucose levels. Fruit juice should also be avoided because it is high in concentrated fructose. Some fruit juices have added sugar to them that spikes blood glucose levels too. If plain water becomes boring, it helps to try a sparkling version of it with a squirt of lemon juice. Type two diabetes is a serious condition that affects millions of people each year. It can cause a wide range of health problems if it isn’t treated properly, so those who are at risk for getting this disease should follow these six steps to help prevent it. Weight loss is crucial because obesity stresses the cells, which makes them insulin resistant. The best way to lose weight is to exercise at least 30 minutes per day and follow a diet that is low in carbohydrates and high in whole grains, lean meats, and fresh fruits and vegetables. Drinking plenty of water is also important because it helps flush out extra glucose that is in the blood. And lastly, those who are still struggling with high blood glucose levels despite making changes to their eating and exercise habits should consult with their doctor about medications that can help keep their blood glucose levels within a safe range.